AVAILABLE NOW FROM UK STOCK! 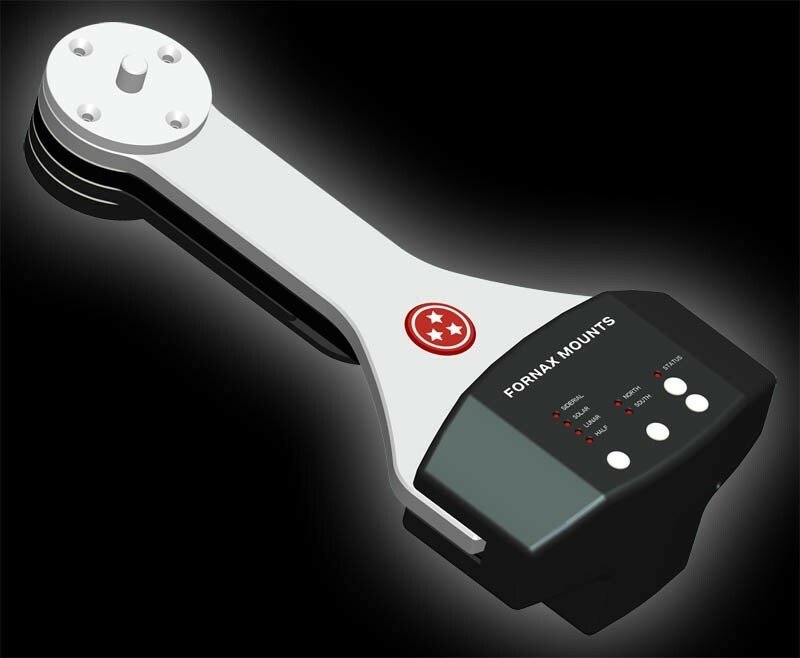 The Fornax 10 LighTrack Mark II can be powered by a 12V DC source with a center positive 2.1mm/5.5mm jack plug widely used for powering astronomy equipment, i.e. 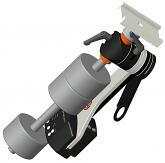 Celestron, Skywatcher telescopes, Astrotrac and other devices. A 12V cigarette lighter-type adapter cable is included, but there are other ways of powering it as well, i.e. when you travel you might want to use a mains socket. At first we started supplying it with a 12DC Mains Adapter (PSU), but as using mains power supply doesn't really make it mobile, we decided that a car adapter cable is a better choice to include. A mains puwer supply adapter is available separately, but if you decide to buy one, it will be your responsibility to use it safely. These are usually designed for internal use, so when you use it outdoor, make sure that you use a socket (or extension) that provides RCD protection. Stand alone RCD masterplugs are also available from various suppliers, so for your maximum safety we would recommend to use one of those between the extension (if you use an extension) and the property's mains supply. 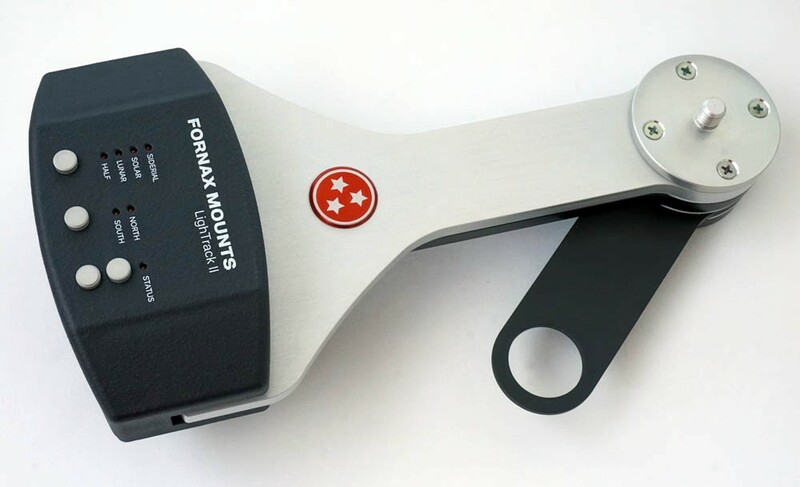 The Fornax 10 is also compatible with our 12V AC Adapters, 12V power tanks from Celestron and Skywatcher and with the Astrotrac Battery Holder. 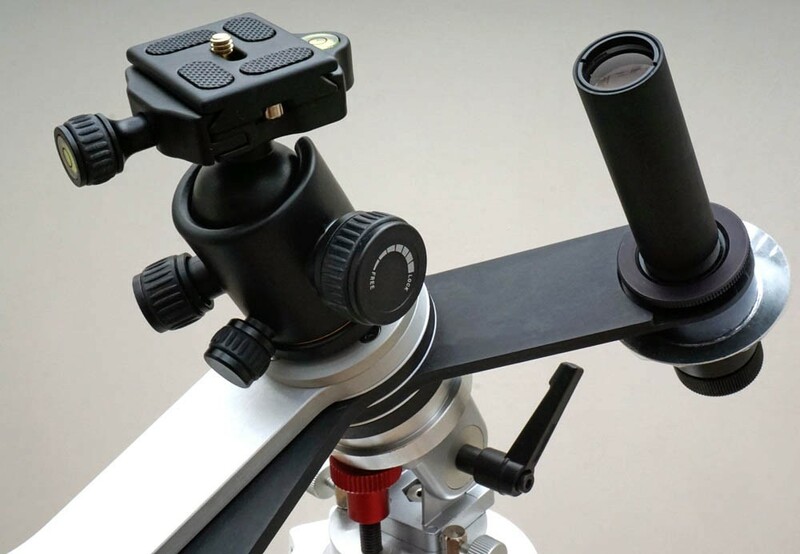 A polarscope adapter ring that allows to use a Skywatcher EQ5 polar scope is included for free. 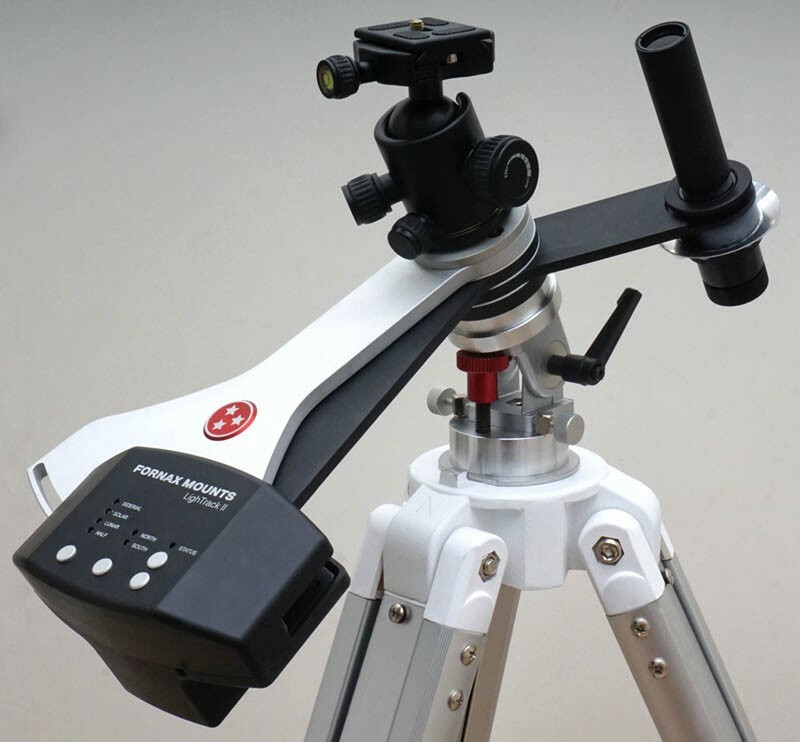 The EQ5 Polarscope (model 20117) is available separately. Click here! 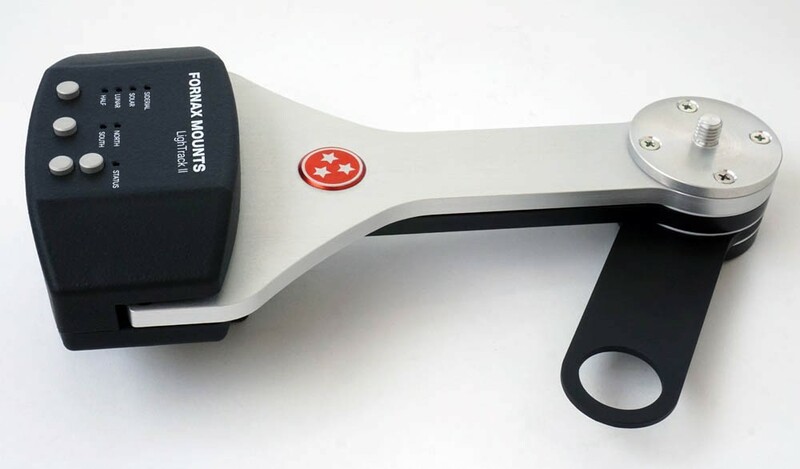 Review of the Fornax 10 LighTrack mark II by Astronomy Technology Today. Click here for the PDF version! 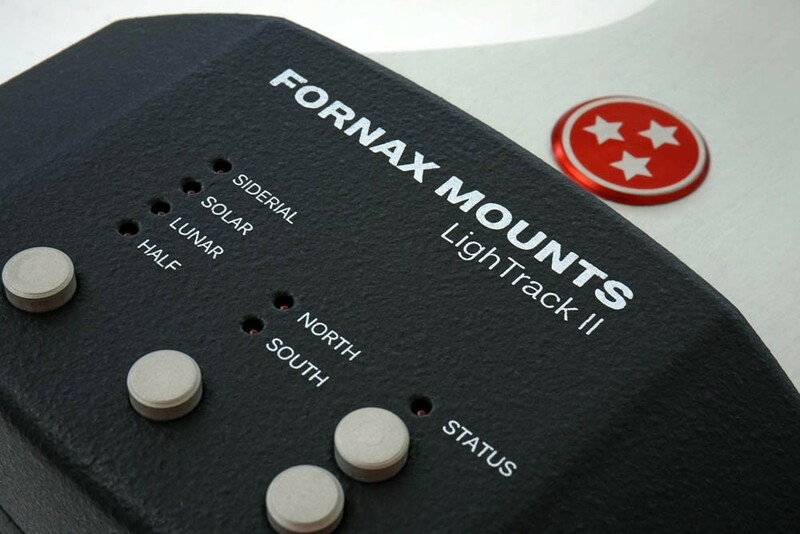 Review of the Fornax 10 LighTrack mark II by the Sky at Night magazine. Click here for the PDF version! Veijo Timonen from Finland provided his first images taken with a Sony a7s on a Fornax 10 Mark II with various lenses up to 600mm focal length. The housing of the Fornax 10 LighTrack Mark II is made of a extremely strong carbon composite material that is also very nice, soft to touch. 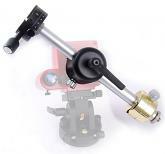 The rest of the body is made of high quality aluminium alloy that makes the whole construction rubust, but lightweight. Center positive, 12V DC connector, same as used in most Celestron and Skywatcher telescope mounts. 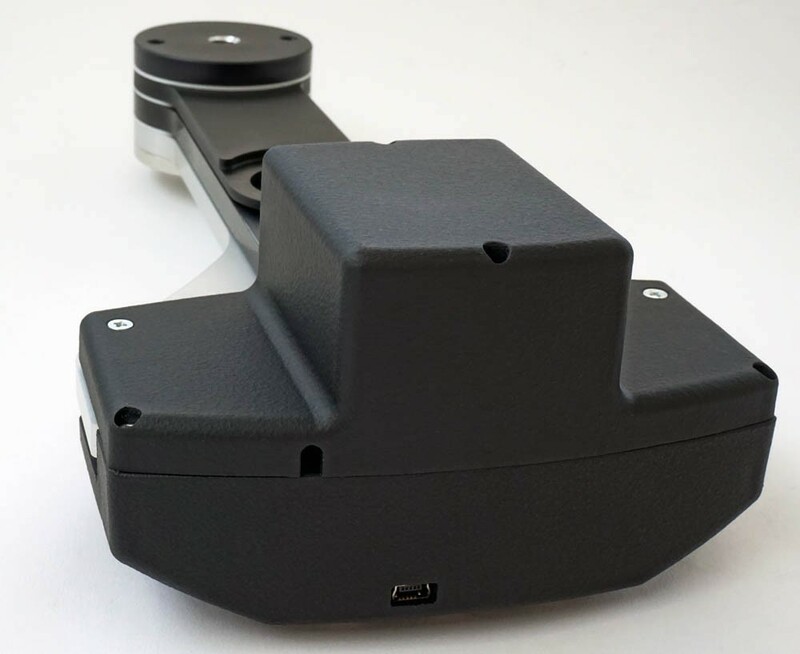 An Autoguider port has been added to the new, Mark II version of the Fornax 10 LighTrack, but due to lack of space on the electronics, a smaller jack socket had to be used. An adapter, providing a standard ST4 port will be shortly available and included with the device. A Mini USB port makes it possible to upgrade the firmware in the future. There are plans to add a "Polar Align Assist" function that would be very helpful for those customers who cannot polar align using Polaris, i.e. customers near the equator or if view of Polaris is simply blocked by a building or trees from their location. A large photo thread (3/8") is visible here to attach the Fornax 10 to a photo head (i.e. 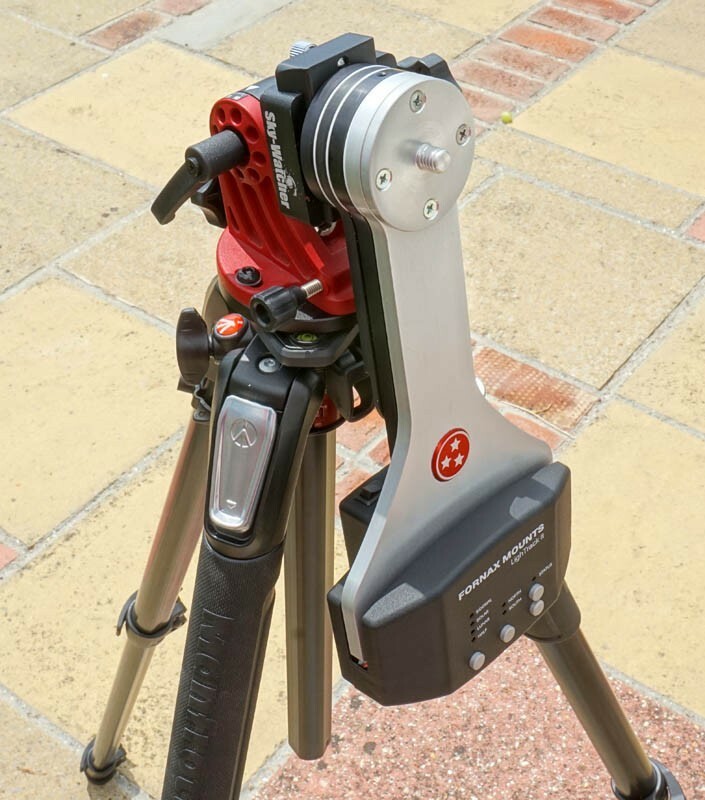 Manfrotto MN410 Junior Geared Head), a Skywatcher Star Adventurer wedge or a Tele-Optic wedge. A retractable arm holds the optinal polarscope. 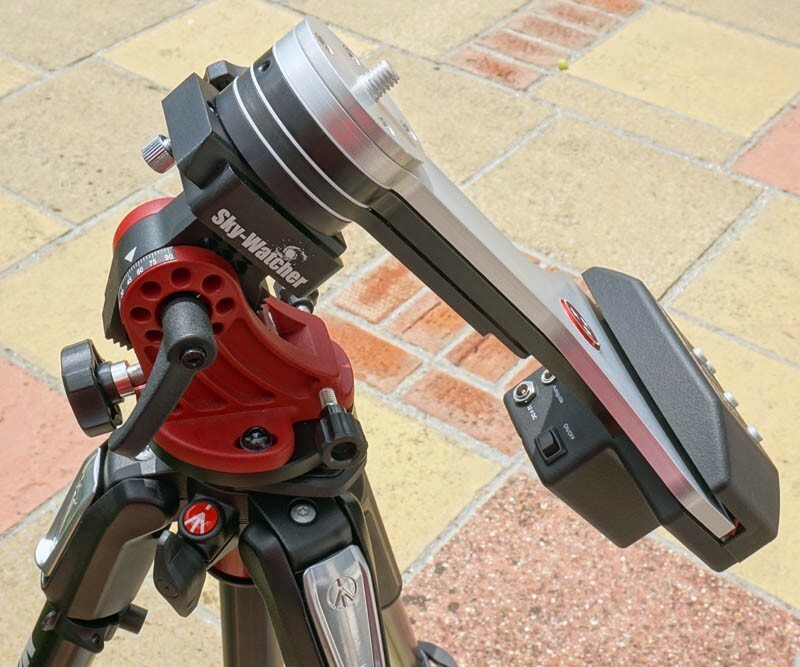 An adapter for a Skywatcher EQ5 polarscope is included with the device for free. 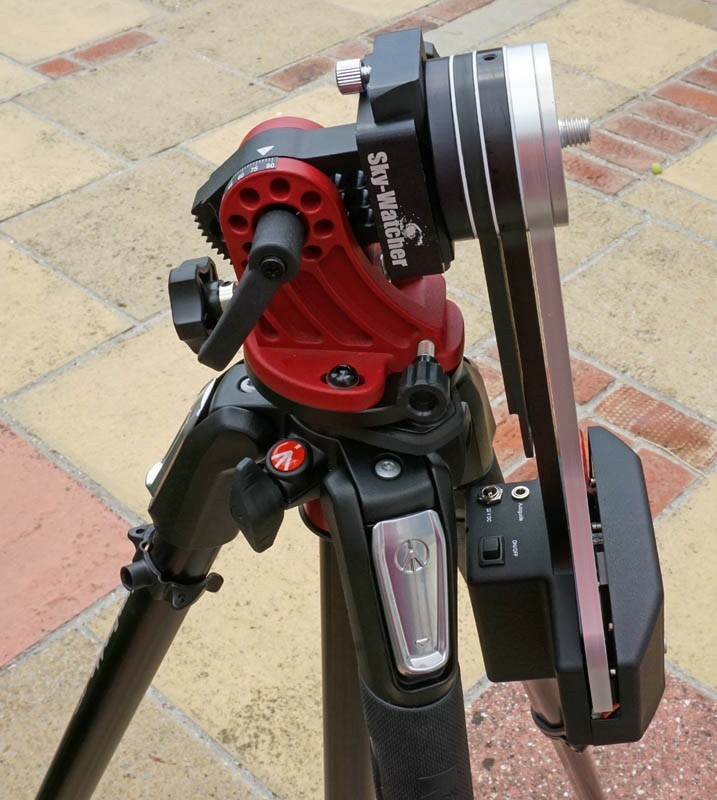 You just have to add a Skywatcher EQ5 or Celestron CG-5 / Adv GT / Adv VX polarscope. For a Malaysian customer we were testing it here, whether it will fit the Skywatcher Star Adventurer wedge and also what the max achievable latitude setting would be. It was very near to 90 degrees, probably around 85 degrees, but of course, by changing the leg heights of the tripod, 90 degrees can be achieved. Bear in mind to counterbalance the equipment on the opposite side of the tripod. This is only an (easily solvable) issue when used near the equator. Fornax 10 LighTrack Mark II shown here with an optional Star Adventurer wedge and also optional Manfrotto MT055XPRO3 tripod. 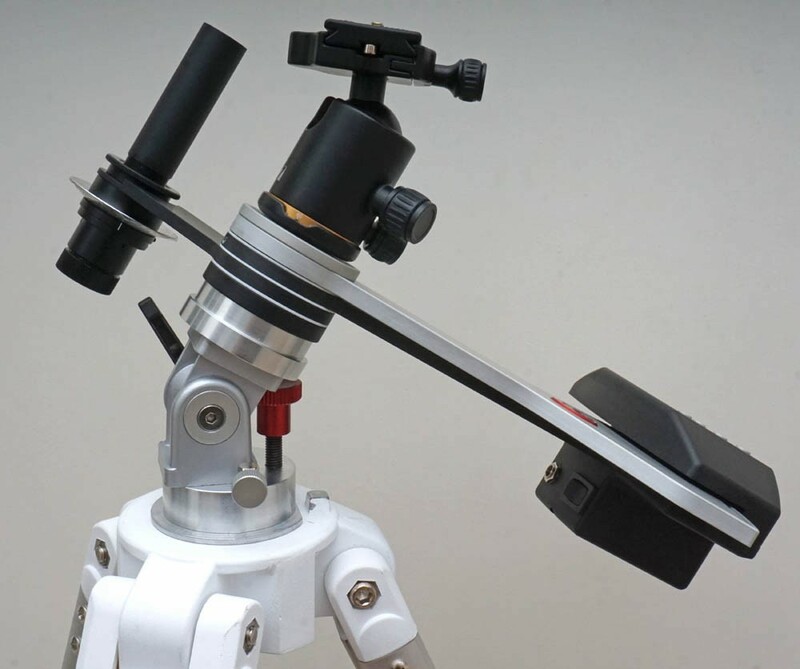 Same prototype image from closeup, showing the optional 365Astronomy Heavy-Duty Ball Head and also with an optional Tele-Optic wedge and Skywatcher EQ5 polarscope. 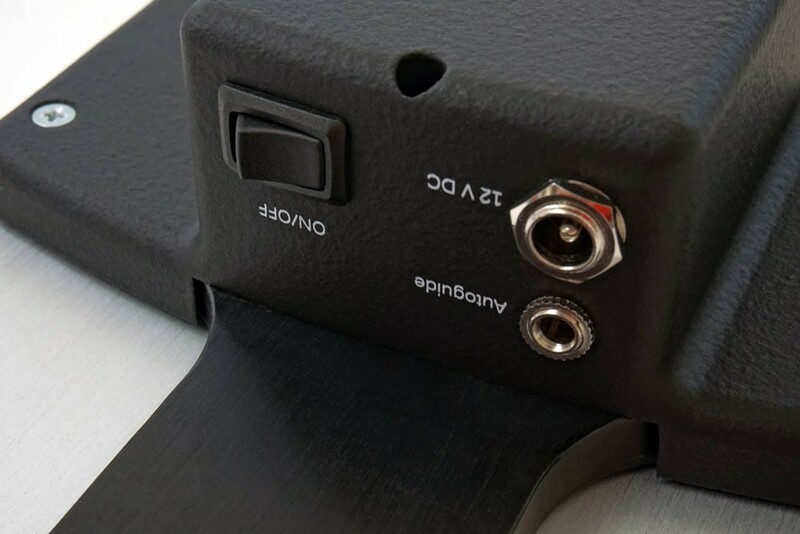 The polarscope is optional, but an adapter that is compatible with the EQ5 or CG-5 polarscope is included for free. This is a stunning mount, far, far better than the iOptron/SW trackers. I cannot measure the PE with a 400-mm lens, it is better than my Paramount. Just be sure to align it accurately with a decent polarscope or PoleMaster and you're done. 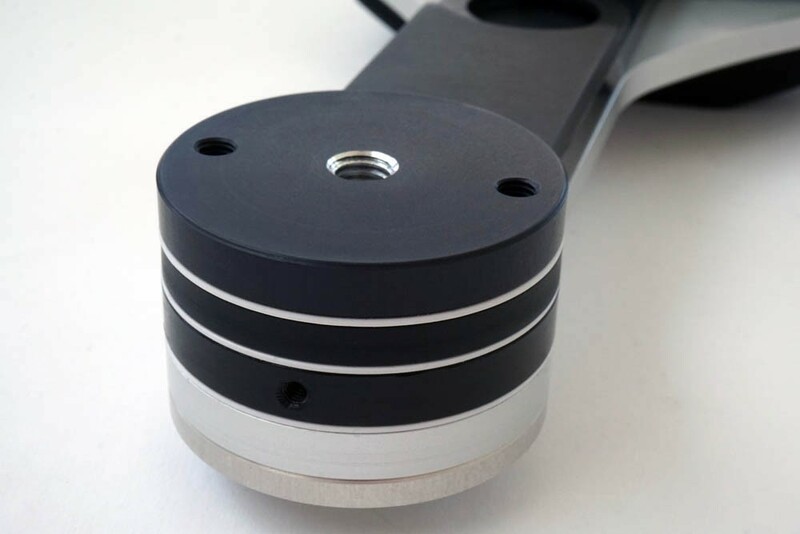 Advantages: Light, low power, does not need a guider and well built. Smaller than Astrotrac but tracks better.